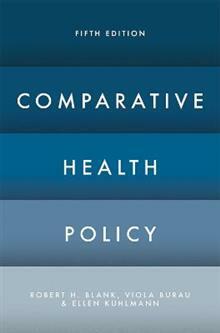 A broad-ranging introduction to the provision, funding and governance of health care across a variety of systems. This revised fifth edition incorporates additional material on low/middle income countries, as well as broadened coverage relating to healthcare outside of hospitals ... read full description below. 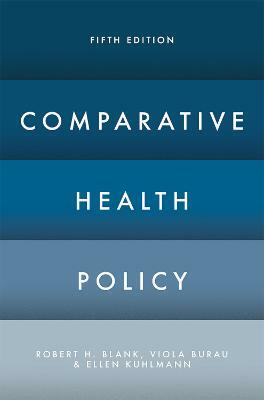 A broad-ranging introduction to the provision, funding and governance of health care across a variety of systems. This revised fifth edition incorporates additional material on low/middle income countries, as well as broadened coverage relating to healthcare outside of hospitals and the ever-increasing diversity of the healthcare workforce today. Robert H. Blank is an Adjunct Professor at University of Canterbury, New Zealand, and Visiting Professor in Public Health at the National Taiwan University. Viola Burau is Associate Professor at the University of Aarhus, Denmark, and Senior Researcher at DEFACTUM - Public Health and Health Services Research, Denmark. Ellen Kuhlmann is Senior Researcher at Goethe-University Frankfurt, Germany, and Medical Management Centre, Karolinska Institutet, Sweden.